The New Jersey Devils looked dominant throughout much of the game against the Columbus Blue Jackets on Tuesday night. They outshot the Jackets 24-14, while having numerous chances midway through the third period to take the lead. Then the Jackets scored a goal; then they scored another goal 35 seconds later, and before the Devils could get their wits about them, they were already down 3-0 with only five minutes remaining in the game. Kyle Palmieri got the Devils to within two late in the game, but the quick push by Columbus made it tough for New Jersey to garner anymore offense, which ended their four-game winning streak. That was just one game, but after seeing this team just flat-out compete over the past five games, losing like that stung a bit, but the players have to keep moving forward. When a team like the Devils doesn’t have as much pure talent as other teams, things like implementing a good system of play is crucial to a team’s success. We have already seen to start the season of an implementation of a new system, which has been a breath of fresh air after having to deal with Peter DeBoer’s grind it out type of style the past few years. Hynes is only 40 years old, which makes him the youngest coach in the NHL, and what makes that a great asset is because he’s the current type of coach this team needs. By current, I mean that he’s up-to-date on all the present day coaching strategies, which today involve bringing the puck up the ice with speed, and then making plays with it. Even though the Devils players aren’t as skilled as others, Hynes is still allowing his guys to be creative with the puck. We’ve seen Adam Henrique, Jacob Josefson, Mike Cammalleri, and Palmieri benefit from this the most, with Travis Zajac getting his game together after an early season injury. The point is that every player is getting the opportunity to show what they’ve got, which is only a benefit moving forward for Hynes. Hynes is hopefully going to be the Devils head coach for a long time. He hasn’t given us a reason to not like him yet, aside from his very aggressive nature to pull the goalie. While the Devils were on their winning streak, it’s early in the season, and I haven’t been that excited about the Devils scoring a goal in overtime, and winning games in quite awhile. The past couple of years they have always gotten off to such mediocre starts, and while this year is no different, there’s a good feeling about the way this team is playing, and the potential of the younger players compared to previous seasons. Will Patrik Elias Make an Impact on His Return? With the Devils standing at a 4-4-1 record through the first nine games of the season, a big wild card for them will be the return of Patrik Elias to the lineup. Yes! Elias is confirmed to be indeed alive! It’s funny though because the status of Elias has been a mystery since the start of training camp until it was reported that he is dealing with a right knee injury. Elias never played in training camp, and has recently skated on his own, but hasn’t been making much progress. I refer to Elias because regardless of how many games he plays, I’d love to see how he reacts to playing within this type of system. 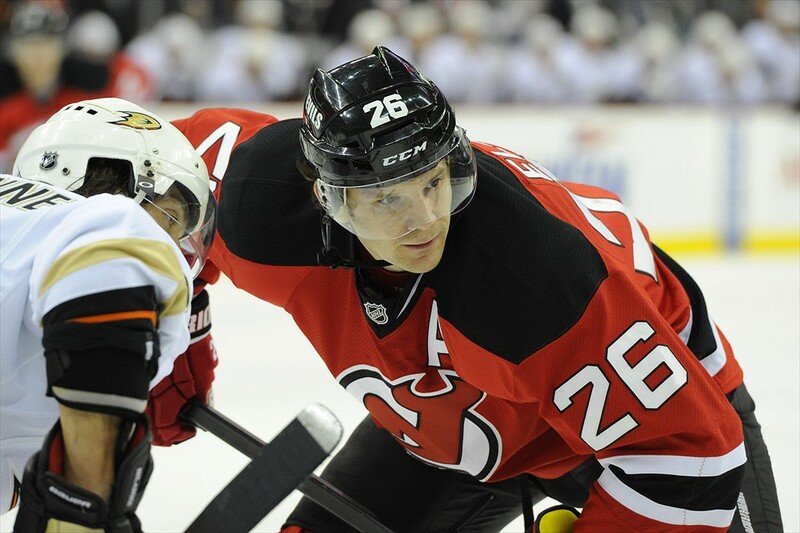 Elias has always been a skill guy for the Devils ever since he joined the team. He’s certainly not as fast as he used to be, but his hockey IQ is one of the most underrated in the NHL, and given the opportunity, he should excel playing with players who can get the puck to him in the offensive zone, rather him have to rush it in himself. There were a couple of issues last season with him getting moved down to the fourth-line at times, but being this is the last year of his contract, I feel that Hynes would relish having the experience of a guy like Elias to play 16-18 minutes a night, and knowing that he’s not a guy you need to worry about. Whether Elias returns next game, or next month, the Devils will go about their business just like they have been through the first nine games. All the players, and the coaching staff need to think about is getting better every day. With a team like this, games like Columbus are going to happen, it’s inevitable, but that’s the development aspect of trying to build a winner. A loss is a loss, but the next time Hynes finds his team in that position, expect them to be much more composed, and just go about their business.